Wrong General? 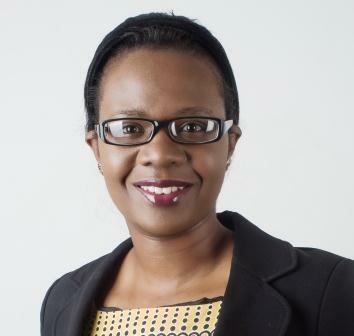 : Linda Kasonde’s opposition to appointment of Likando Kalaluka as Attorney General | Elias Munshya, LL.M, MBA, M.DIV. President Lungu in exercise of his power has appointed a Mr. Likando Kalaluka as Attorney General of the Republic of Zambia subject to parliamentary ratification. This last week, a parliamentary committee met to scrutinize the appointment. It has been common practice that the committee would invite submissions from the Law Association of Zambia (LAW). The LAZ is a statutory body created to regulate the legal profession. More than that though, LAZ is also a “fellowship” of some kind that advocates for lawyers’ interests. LAZ Vice-President Linda Kasonde presented to the committee what she stated to be the LAZ’s position over the appointment of Mr. Kalaluka. According to her, the Council of LAZ (which is a highest management committee) would not support President Lungu’s nominee. On close scrutiny, it has emerged that she might have presented to parliament views that are at most not representative of the Council of LAZ. There is doubt about whether indeed what Ms. Kasonde presented are the views of LAZ. Ms. Kasonde in her submission to parliament did rightly state Article 54 of the Constitution of Zambia and the role of an Attorney General (AG). An AG is an ex-officio cabinet member and principal legal adviser to the Government. Government in this case includes all the three branches and their subsidiaries. The qualifications for appointment to the office of AG are that the candidate must be qualified for appointment as Judge of the High Court. This means that for a person to be appointed as Attorney General they must have been member of the Zambian (or any other commonwealth bar) for at least ten years. Being Attorney General also comes with some bells and whistles: the AG on appointment becomes a “leader of the Zambian Bar”, and gets automatically conferred with the “status” of “State Counsel”. The most ridiculous aspect of Ms. Kasonde’s submission to parliament showed itself in the way she mistreated the subject of “State Counsel”. According to her, Mr. Kalaluka does satisfy Article 54 of the constitution to be Attorney General since he has been practicing for the past eleven years. Nevertheless, she feels that Mr. Kalaluka cannot be appointed AG because he does not have the necessary experience and respect to be a “State Counsel”. I must respectfully differ with Ms. Kasonde here. She conflates issues. In fact, she uses very selective and at most wrong law and authorities from other commonwealth jurisdictions. Mr. Kalaluka is not being appointed to be State Counsel, he is being appointed to be Attorney General. The test, therefore, that he must meet is not the test for State Counsel, but rather the test for Attorney General, which is ten years at the bar and “some respect”. In her submission however, Ms. Kasonde goes to use authorities that have to do with being conferred the status of “State Counsel” and completely ignores both convention and custom with regard to appointments of Attorneys General in the commonwealth. The authorities that Ms. Kasonde uses on Queensland, Scotland and British Columbia are irrelevant here. Here President Lungu is appointing a quasi-political officer known as Attorney General. Perhaps a little tutelage can do for Ms. Kasonde. The role of Attorney General is a both quasi-political and political appointment. It is a politician (a President) who chooses the individual to be the principal legal adviser to government. This person as per constitution must have been a member of the bar for at least ten years. It so happens that this political individual appointed to be AG must be conferred the status of State Counsel as an auxiliary consequence of the political appointment. This role is not strictly a bar seniority position. It is a political process tampered by at least 10 years of experience. If we went by Ms. Kasonde’s reasoning, then we must be using army procedure when electing a president since a president also becomes Commander-In-Chief of the armed forces. This is a ridiculous submission to say the least. When Zambians are electing a president, they are electing, not a soldier, but a civilian who after receiving the oath of office assumes auxiliary functions of Commander. The president of the republic becomes a commander, just as an AG becomes leader of the bar and gets conferred the status of “State Counsel”. Ms. Kasonde mentions that Mr. Kalaluka is a man of integrity, he has good character but for his “lack of relevant experience” he would be suitable for office. Bo Kasonde might need reminding that these are the qualities we need in an AG: a person with good character and integrity. She also submitted that Mr. Kalaluka needed a “little more experience”. Isn’t this insulting? Kalaluka has been a member of the bar for eleven years. He has appeared in all levels of court. He has an LLB from UNZA and an LLM in disability law from Ireland. How then does, according to Ms. Kasonde, he not meet the requisite experience? All those who have been at the bar for over ten years should really question Ms. Kasonde’s thinking here. Today it is Kalaluka and tomorrow it could be anybody. I cannot possibly stomach this kind of reasoning from Ms. Kasonde. Ms. Kasonde then alludes to the position that a group of State Counsel took over Mr. Kalaluka. According to her, several individuals currently holding this rank do not support Mr. Kalaluka. While I really do understand their concerns, I do not believe these concerns are fatal to a political decision such as this. They just do not want an eleven-year call to join their ranks. But these lawyers need to separate their own sectarian interests from the whole. State Counsel are advisory and are consulted from time to time, but they do not make decisions for the Law Association of Zambia. And yes, as AG, Mr. Kalaluka would become a leader of the entire Zambian bar including these very State Counsel, but that is a political role. A republican President, who otherwise has never even held a gun, does by virtue of the political office become a commander of all the guns held by our armed forces. It would be ridiculous if soldiers objected to this and stated that they would only “respect” a Commander-In-Chief who knows how to shoot and kill the enemy. In making the discussion above, I have made it clear that the sentiments that Ms. Kasonde purported to present to parliament were actually her own. I am skeptical if these sentiments are indeed representative of the LAZ Council. To this I must now turn. The current term of the LAZ Council comprises sixteen members: President Chisanga, Vice-President Linda Kasonde, Secretary Likando Kalaluka, and members Mr Mwenya, Mrs. Yangailo, Mr. Mwitumwa, Mr. Lisimba, Mr. Tafeni, Mr. Muyatwa and Mr. Dzekedzeke. Others are Mr. Mwiche, Mrs. Kateka, Mr. Banda, Mr. Mwitwa, Mr. Sikaulu and Mr. Chulu. Apparently, the Council must meet regularly to make decisions on day-to-day decisions for the LAZ. Once a republican President nominates an Attorney General it is general practice that the nomination is given deference. LAZ does routinely support these appointments. As for Mr. Kalaluka’s appointment, however, it seemed to be a little complicated. Obviously, Ms. Kasonde convened a LAZ Council meeting but they could not form a quorum. So she innovated to have the meeting vote by “e-mails”. According to her letter sent to all members of the Zambian bar, the vote went as follows: Mwenya, Tangailo, Mwitumwa, Lisimba, Tafeni, Muyatwa, and Dzekedzeke were in favour of having Mr. Kalaluka as AG. The following voted “no”: Kasonde, Mwiche, Kateka, Banda, Mwitwa, Sikaulu and Chulu. This means that the vote was a tie, seven were for the resolution and seven were against the resolution. After noting that the vote was a tie, Ms. Kasonde decided to use a very controversial provision in LAZ rules to vote again (twice) so as to break the tie. And she voted again against the resolution to support Mr. Likando Kalaluka. There is a lot to be said about this controversial provision (SI 155 of 1996). From this voting pattern, I have some questions, and please indulge me. As you can see from the foregoing, the president of LAZ Mr. George Chisanga decided not to vote. He abstained. Mr. Kalaluka too was asked not to vote because he was the subject in the proceedings. It appears to me that Ms. Kasonde should have recused herself as well since she obviously was patently against Mr. Kalaluka. She shouldn’t have voted twice. Having regard to all these issues, I am of the view that this “e-mail” voting was patently unfair and appears not to have been a correct reflection of the sentiments of the members of the LAZ Council. Controversially, I am shocked that Ms. Kasonde went ahead to make presentation to the parliamentary committee inspite of the obvious confusion inherent in this process. Another disturbing pattern of the vote is that mostly, it is Bemba names that were against the resolution. I do not want to accuse the Bemba members of the LAZ Council to be tribalists, but they might need to explain this. How come it is Kasonde, Mwiche, Kateka, Mwitwa, Sikaulu, Chulu and Banda that are against Kalaluka? Did tribe play a role in this? Interestingly though, Mr. Kalaluka’s CV we have obtained seems to indicate that his languages are English, Lozi and Nyanja. Conspicuously missing from this is Bemba! Interesting. Nevertheless, Bemba-speaking citizens of our republic need to really create a space where we can in unity discuss this idea that we are the centres of this nation while others are only but peripheral. And going by the voting pattern, I call upon our people to realise that merit should not include “tribal” merit. As an Aushi, I must state here it is not in the interest of our shared Bemba commonwealth that we should as a people become insensitive to the interests of other citizens. Zambia is for all Bembas as well as Lozis. President Lungu nominated a Lozi citizen of our republic to be our government’s chief legal adviser, it is only right that we give great deference to this nomination. Mr. Likando Kalaluka has satisfied all the requirements for appointment as Attorney General of Zambia. I appeal to our parliament to ignore the submissions given by Ms. Linda Kasonde and ratify this appointment. There is a lot of work to do, and the sooner Mr. Kalaluka starts the better! As for Ms. Kasonde, she perhaps might need to read a little more about what obtains in British Columbia, Scotland and Queensland about Attorneys General, and not just about “State Counsel”. Here are the two documents Ms. Kasonde submitted to parliament and a letter she wrote to the LAZ Council after using their name to attempt to derail Mr. Likando Kalaluka’s nomination. Judge for yourselves. The main submission of LAZ, as a professional body, would have been on whether in his 11 years at the bar Mr Kalaluka had conducted himself in a manner consistent with the ethics and standards legal profession. If his conduct was above board, LAZ has no reason to say oppose the appointment. The other aspects are for other agencies to consider and submit. The arguments by the author relating to tribe have no objective basis, and reduce the value of a sensible defence of Mr Kalaluka’s appointment. Educated Zambians must try to operate at a higher level instead of reducing everything to tribe and generalising recklessly. Well put Bo Munshya wa Munshya. Madam Linda needs to read a little more. What God can do, Favour is not Fair. You offer a plausible argument until you start discussing tribalism. There are as many Northerners and Easterners for Kalaluka as they are against. Yangailo, Dzekezeke, Tafeni, Muyaka,Mwenya all from North or East. Lets avoid seeing tribalism in everything. You are fuelling what is a none issue. I have a question. Is there a body that regulates LAZ? It appears to me that one of the heads of LAZ has misinterpreted the LAW, hence has not applied it correctly. I think Elias this was a good attempt at being objective, I also have deep reservations when you go tribal about this well written article, you lose the entire plot there are then. And renders your article lacking in objective analysis henceforth. I am not a lawyer but I can follow an argument very well using my own analytical tools. I do not know if there is a checklist of who can attorney general in which case if the individual fails even on one, then he or she is disqualified. I am not a lawyer and will thus not forward a legal argument. Ba Munshya I totally agree with you. LAZ can be something else at times depending on the leaders on that particular time. Am failing to understand when she says a little more experienced when the said subject has 1 year more than the required 10 years. Honesty I have failed to imbibe her refusal when the man has fulfilled all the required to be appointed as AG. I see witch hunting here honestly, let our learned Ms Likando act not with hidden agendas. Surely we cannot read provisions of the Act in isolation Mr Munshya? I respectfully disagree with your reasoning Mr Munshya. I understand your argument but i believe it is deeply flawed.When you say that when people vote for a President they do not vote a soldier they vote a civilian, this view is correct. However the appointment of a President differs to that of an Attorney General. When appointing an Attorney General the President must consider if such a person is also well suited to be a State Counsel i.e has the respect amongst the legal fraternity, developed Zambian jurisprudence etc. If your argument holds true that as long as one reached 10 years at the bar, they qualify to be Attorney General this would mean that ANY lawyer who has reached 10 years at the bar qualifies without considering if they are also worthy of being conferred with State Counsel. This simply will derogate the rank of State Counsel that is highly respected in our country and therefore when the President appoints a Minister of Justice, DPP or AG, one has to adequately consider if that person meet the ample respect and requirements of SC because it is a consequence of the appointment. Such an argument cannot be stretched to include the Commander of Chief argument on two grounds:- Firstly Commander in chief is a consequence of being Head of State and secondly it is not like the President’s primary job is head the military whereas the AG job is primary to advice the government on legal matters and this can only be conferred on one who is deemed to be likely to be an SC not just ANY lawyer. Additionally to insinuate that the vote was based on tribal lines is deeply unfair. 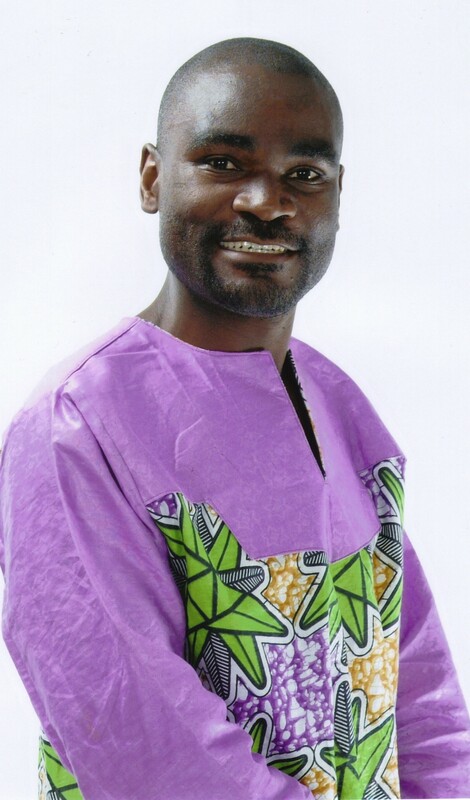 Elias Munshya, LLB (Hons), MA., M.Div. You’re saying stuff that isn’t part of the law. The law is clear a person qualifies to be AG if they’ve done 10 years at the bar. That is what the constitution says. Surely we cannot read Article 54 of the Constitution in isolation from Section 16 and 19 of the Legal Practitioners Act – we have to interpret the purpose of the Act’s provision when interpreting Article 54. If ms Linda Kasonde used the rule of voting twice to advantage her wish, where are the other Laz members to challenge her. Are u saying they are letting an individual to forward her feelings and not the view of Laz? Ba Silwimba. Please download her letters. They are at the bottom of the article and judge for yourself.